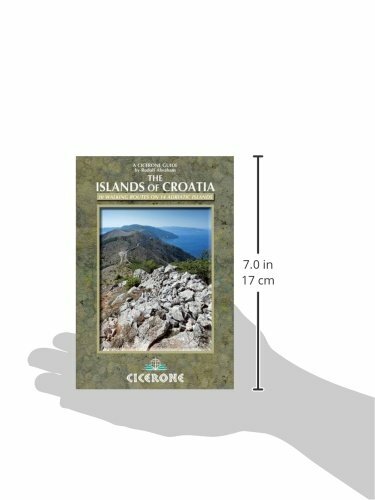 This guidebook describes 30 day walks on the islands of the Croatian Adriatic - an outstandingly beautiful landscape incredibly rich in history, wildlife and plants, and covered by a network of superb hiking trails. This guide covers 14 islands, including better-known places such as Hvar, Bra? and Mljet, as well as less-visited spots such as Dugi otok and Lastovo. This is the first guidebook to focus entirely on Croatia's islands, from the Kvarner region at the head of the Adriatic to the islands of Southern Dalmatia, and contains the most detailed hiking maps available. It includes extensive background information on history, language and culture, as well as a comprehensive section on wildlife and plants, detailed information about public transport (including ferry routes), and essential information on two 'gateway' cities to the islands, Zadar and Split, providing you with all the practical details you need to explore these islands more fully. Written by an award-winning author and photographer who has written several guidebooks to this beautiful country including the first English-language hiking guide back in 2003.